These products are manufactured by companies other than Incline Software. Depending on your method of working, you may find one or more of these that can aid you in your family history efforts. Some of these products supplement Ancestral Quest directly, or will work off of a GEDCOM file which Ancestral Quest can produce, while others are not directly related to Ancestral Quest, but are useful genealogy research tools. These third-party programs either work directly with your AQ or PAF database file, or they work off of a GEDCOM file. Products are listed in alphabetical order by product/service name. 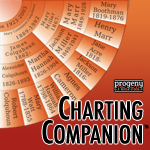 Family Chartmasters is a chart printing service that provides large format printed charts. If you're looking for a service that will print large wall charts and specialty genealogy charts, check out this service. You can have custom made charts, with background pictures of your choice, and pedigree and fan charts with color coding, as well as drop-line descendant charts. Will accept a GEDCOM from Ancestral Quest. GenSmarts by Underwood Innovations, is a genealogy software program that can analyze your file and tell you, by person, which record to research, and why. GenSmarts finds holes in your data and can do automatic lookups for you on free internet search sites. It works with Ancestral Quest and other major genealogy software. Compatible with Ancestral Quest version 3.0-14. They have a free trial version, whose trial limitations depend on the version. Download and try, then learn what limitations the version has. The registered version is available for $24.95 (one time purchase, including free support and upgrades). It's a small download and easy to install/uninstall - give it a try! 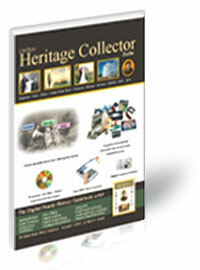 Heritage Collector Suite version 7.5 by LifeStory Productions, Inc.Organize - Find - Share - Preserve all your family history photos, files and documents and much more. MSRP $99.95. Passage Express by The Jefferson Project Passage Express allows you to build a family presentation on CD or DVD out of scrapbook items and your compiled genealogy. It can extract data and scrapbook items right out of your Ancestral Quest data files to start your project. Compatible with Ancestral Quest version 3.0-14. MSRP $34.95 and $49.95 for Standard and Deluxe versions. These apps have been developed by third parties to enable using your family tree data on your Apple iOS devices. They work off of a GEDCOM file, which AQ can produce. You will need to read up on each app to see what it is capable of doing. The web site or the documentation from the app should help you to find out how to bring the GEDCOM file into the app, and whether you can modify or just view the data. If you modify the data with the app and then bring that GEDCOM back into AQ, you will then need to merge any duplicate records within AQ. 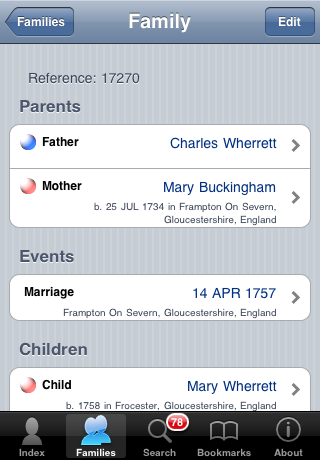 FamViewer by Aster Software allows you to view GEDCOM genealogy database files on the iPhone, iPad and iPod Touch. Price: $ 9.99; available on iTunes. GedView by David A Knight is a viewer and recording tool for your genealogy database when you are out and about researching local records, or visiting locations such as graveyards looking for information. It is compatible with iPhone/iPod/iPad devices running iOS 3.0 or above, with additional features such as multitasking and iTunes importing being supported where available. Price: $ 3.99; available directly from the publisher. These apps have been developed by third parties to enable using your family tree data on your Android devices. They work off of a GEDCOM file, which AQ can produce. You will need to read up on each app to see what it is capable of doing. The web site or the documentation from the app should help you to find out how to bring the GEDCOM file into the app, and whether you can modify or just view the data. If you modify the data with the app and then bring that GEDCOM back into AQ, you will then need to merge any duplicate records within AQ. Family Bee by BeeKeeper Labs is a full-featured robust family tree browser. It allows you to view information about families and individuals stored in GEDCOM genealogy files. Family Bee lets you store an unlimited number of trees; supports fast searches over the individuals in the trees; and provides specialized views of families, individuals, "pedigree" trees, and descendants. All facts, events, notes, and sources are at your fingertips. 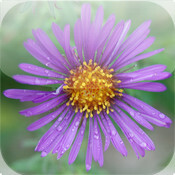 Price: US $10.00; available from the Android Market or the AndAppStore. GedStar Pro by GHCS Software Services is an Android app that lets you view all of your genealogy data in detail on your Android smartphone or tablet. The app runs on almost any standard Android device from version 2 through the latest version 4 (Ice Cream Sandwich). Price: US $9.95; available directly from the publisher. These apps have been developed by third parties to enable using your family tree data on your Pocket PC or Palm devices. My Roots by Tapperware For users of Microsoft® Pocket PC 2003, Windows Mobile™ 2003, Windows Mobile 5, or Windows Mobile 6 or later handhelds and for Palm OS® 3.0 or later handhelds. It lets you take your genealogy data with you wherever you go. With My Roots, you can stay organized and work more efficiently whether you're at a courthouse, library, or family reunion. Price: US $24.95, plus a free trial version; available from the publisher. Pocket Genealogist by Northern Hills Software LLC For users of PocketPC 2003, Windows Mobile 5 or 6, Windows CE 5 or 6 (see the list of unsupported devices on their page). Can directly import data right from Ancestral Quest version 3.0 through 14. 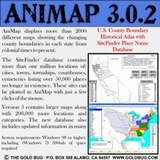 Price: US $20.00 for the Basic version, US $35.00 for the Advanced version; available from the publisher. While Incline Software will attempt to keep this information current, there are possibilities that offers, features and prices may change from what we describe, here. Incline Software makes no warranties or guarantees of features, pricing, suitability, nor continued availability of the above mentioned add-on products. Users are subject to the licenses, offers, pricing, abilities, and limitations of those products from their respective publishers.